Sid Degois Special for You! Special offering to refresh your Soul! 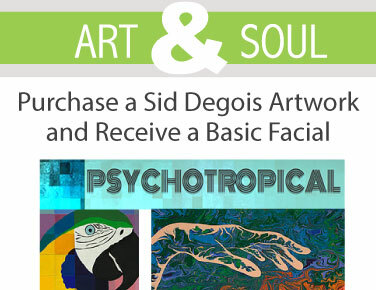 Receive a Basic facial Spa Certificate with the purchase of Sid Degois artwork.